It's no secret that I'm a frugal mommy. Shower routine to me usually means taking one as fast as I possibly can so that I can go to sleep. So I was especially excited this week when I opened up my mailbox to find my Dove Nutrium Moisture body wash. Dove is putting on the #OneShowerChallenge and so they sent me a free sample to take the challenge. When I'm at the grocery store, I normally don't like to spend a lot of money, so I generally don't buy body wash. But that's partially because it just seems like it's the same as shampoo. The first thing I noticed about Dove Nutrium body wash is that it is not the same consistency as shampoo at all. 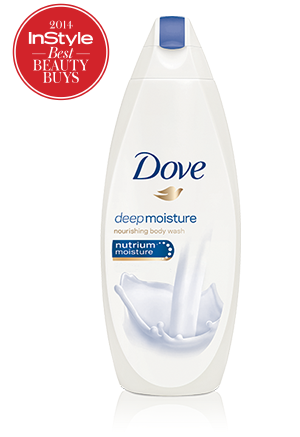 Dove Nutrium body wash feels like lotion. It's super soft and luxurious feeling. It also smells fabulous. Basically, the body wash goes on more like lotion. It's not super sudsy. I like that about it. I take a super hot shower and the steam really carried the smell of the body wash to my whole shower and I really liked that. It was a nice break from hurry the heck up and shower. I felt like I was pampering myself and let's be honest, what mom couldn't use a little pampering? After the shower, I definitely noticed a difference in the way my skin felt. My skin is mostly soft except for my shins dry out in the winter time. My shins felt like I had put lotion on and that's pretty cool. My whole body definitely felt softer. Cool! I used to lotion after my shower before I had kids. I forgot how nice that feeling was. I will have to actually buy the Nutrium wash for myself, because it's like a two for one. Overall, I would definitely recommend trying Dove Nutrium body wash. Get some! Also, there is still lots of time to enter my Calico Critters giveaway! Go on over and check it out! Disclosure: I received this sample for free, but the thoughts and opinions are my own. I also get dry shins in the winter and n my daughter just gave me a dove package for Christmas now I can't wait to take a shower. I have tried Dove and love it because it is not drying.